Whether you're in your house, in the garden or somewhere else in the world, you can now protect your family or business with this DVR kit. This high resolution surveillance system with built-in 500 GB hard drive will allow you to monitor and/or record for your peace of mind. You can view your cameras anytime and anywhere from the easy to download Android or iOS apps. 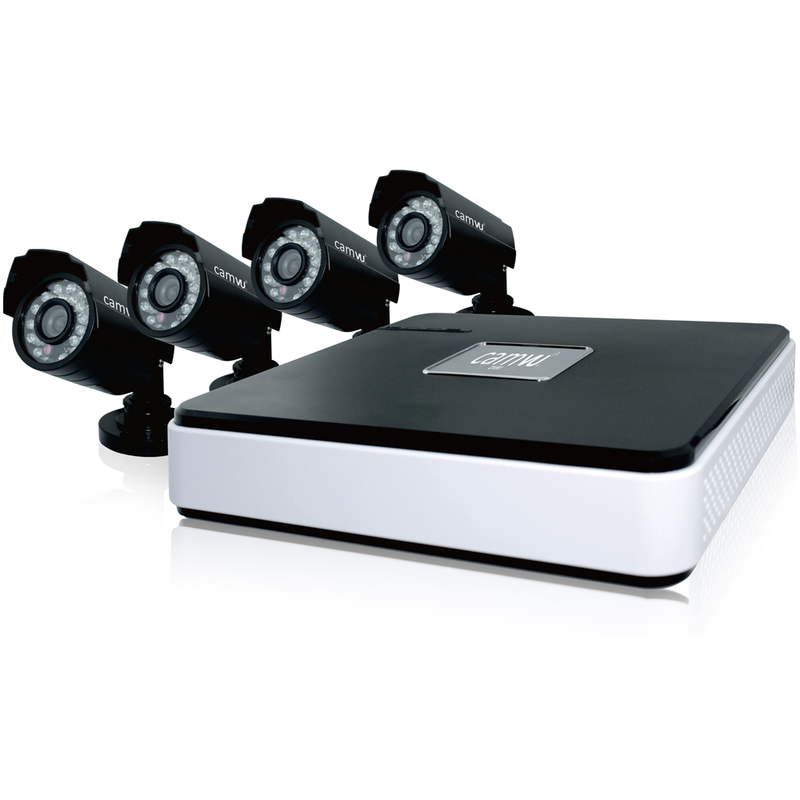 Auto infrared switching on all cameras provides quality day and night monitoring. It is easy to install, just plug and play. NOTE, the DVR1 by default is configured to overwrite previous recordings once the Hard Drive is full. It can alternately be configured to stop recording. Recording Mode: Manual / Motion / Schedule The DVR1 by default is configured to overwrite previous recordings once the Hard Drive is full. It can alternately be configured to stop recording.